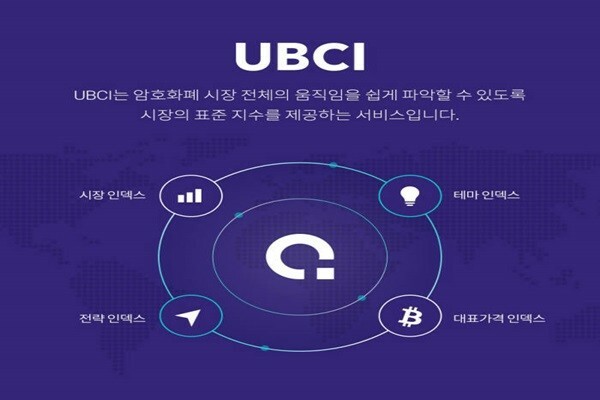 Dunamu (President Lee Seok-woo), which operates a cryptocurrency exchange called Upbit, officially opened a cryptocurrency index ‘UBCI (UpBit Cryptocurrency Index)’. This index is expected to present standards for cryptocurrency markets and to play a role of a guide so that one can instantly check flow of transactions within markets. It is divided into 4 categories and it is composed of 45 types of indexes. Upbit is going to open 3 categories of Index first. It is going to provide 7 types of market indexes that provide typical standard indexes, 36 types of theme indexes for investment theme, and 2 types of strategy indexes for strategic investments. Upbit is planning to open reference index, which is for reference and derivative products, sometime in June. Out of these indexes, market index is an index that is calculated in real-time through contract data of cryptocurrencies that are listed on Upbit’s exchange. It is designed to make overall movements within markets into indexes. Market index is composed of 4 types of composite market indexes that represent entire cryptocurrency markets and changes in entire market capitalization of cryptocurrencies that are listed on Upbit’s exchange and 3 types of general market indexes that trace results of actual investors who invested into cryptocurrencies and put results into indexes. Theme index has 16 themes such as simple payment platform index, game market index, and others provided through market capitalization weighted method or identical weighted method. Strategy index is composed of momentum top 5 index and low-ball top 5 index. Upbit is also preparing an additional index that is composed of cryptocurrencies with high profit ratio or active transactions. Upbit established ‘Index Committee’, which is composed of internal and external experts, for strict and credible operation of UBCI. Through this committee, Upbit is planning to balance indexes’ fairness, consistency, addition of new indexes, and incorporation of themes to new assets.